I’ve always been a skincare aficionado, I got it from my mom who used to get monthly facials. When I was a teen she introduced me to facials and brought me to the dermatologist often to keep my skin clear. Now I get facials every other month or so. I love reading up on new products and reviews. The gold standard in skin care for beautiful skin is to use sunscreen daily, a vitamin C serum and retinol. I wanted to share my current skin care regime that has really working for me as I’m really happy with how good my skin looks right now. My routine is a bit involved that I had to print out a daily AM/PM schedule that I keep posted in the bathroom since I don’t use everything every day. I've found that using the products below have produced the best results for me. First a little about my skin, I used to have oily skin but now I think it’s normal and I’m in between the acne and wrinkles stages. My main focus is just brightening my skin and keeping it exfoliated. My goal is to not have to get botox until I'm in my 40s. So you ask what is the magic combination of products that will produce the best results? If you pick just one product to use on your skin for anti-aging benefits, pick vitamin C. It aids your collagen and elastin production which fights wrinkles and ensures you have an even skin tone and texture. If you're fighting discoloration on your skin, Vitamin C will help lighten it. Not all vitamin C products are created equal, I know because I tried out a $40 product off amazon. The serum was orange, it’s supposed to be a light yellow. When it becomes oxidized by light and air it turns colors and some manufacturers hide this by adding color to it. There’s different types of Vitamin C- you want to make sure the ingredient list says L-ascorbic acid, the highest quality. Vitamin C is meant to be applied during the morning for daytime wear because of their ability to neutralize free radicals. Sloughing off your dull top skin layers help prepare your skin to better absorb the other products you put on it. 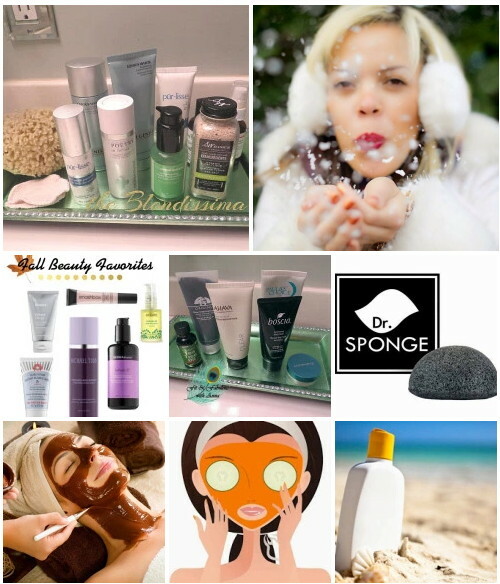 There's several methods to exfoliate your skin. You can use the Clarisonic brush to break up the dead skin and get rid of the tiny bumps on your forehead. It's basically a large electric toothbrush with a powerful motor that turns the bristles in a circular motion. It has a timer so you know how long to be on each section of your face. It's waterproof so you can use it in the shower. The head does need to be changed every 3 months but the body is rechargeable by plugging it into a wall. There are different versions of it depending on your needs. I honestly can tell you that it truly is amazing! I've read various articles that compared it to cheaper drugstore brushes and in each test the Clarisonic outperformed cheaper models. It comes in so many pretty colors and gift sets with product combo packs. Yes it does go on sale occasionally, on Monday QVC had it on sale for $110 and last week on Clarisonic's website although most have sold out by now. Beautiful skin is also a job on the inside as well. We all know we need to drink a lot of water, but you also need to consume omega-3s and healthy fats which help moisturize your skin. On a daily basis I consume avocado, chia seeds, almonds, sunflower seeds and either olive oil or coconut oil. I take a vegetarian Omega-3 vitamin in lieu of fish oil. I also take a silica vitamin which is an essential mineral that supplies your body with nutrients by binding water in our cells. Silica helps to keeps your skin hydrated and delays the aging process and collagen formation. I got this tip from reading Christie Brinkley book. Silica also strengthens your hair and nails. I make my pesto sauces with walnuts as they are a cheaper replacement for pine nuts. I keep a bag of sunflower seeds on my kitchen counter and sprinkle a tablespoon into salads and on top of my smoothies. They are high in Vitamin E and rich in the antioxidant selenium which preserves elastin to keep skin smooth and tight. I eat red bell peppers every week because they are high in Vitamin C and antioxidants. I often drink green smoothies. Microdermabrasion - is a machine that gently sands your skin and has been effective in treating mild acne scars, enhancing collagen and elastin production, and improving blood circulation. You need a series of these to see results. If you're brave, you can buy your own device and do it at home. Hydrafacials - Similar to microdermabrasion, it exfoliates but at the same time pumps nutrients such as Antioxidants, Peptides and Hyaluronic acid back into the skin. It reduces fine lines and makes your skin look radiant. It is very customized as there's different percentages of the chemicals and different serums to treat your specific skin issues. I always see immediate results afterward! LED lights - You wear sunglasses and expose your face to red and blue lights. The light stimulates collagen production and tissue repair. I've seen some celebs post on instagram at home masks that they use, Neutrogena just released a model specifically for acne. In the past I used the Tanda device for my acne. It uses a blue light to destroy acne-causing bacteria while it gives a gentle vibration and gentle warming to help to open pores so bacteria is exposed to the zit-zapping light. It does eat up batteries very quickly so I used rechargeable ones. But I was shocked at how great this worked at reducing any bump under the skin I felt coming up. In 24 hours there was a visible difference. Facial oils have been used by women for centuries and I think are regaining momentum in popularity now. In the winter time I add a little to my forehead to nourish and replenish my skin. It's great to use under powder so your skin doesn't look as dry, but dewy. Facial oils are okay to use on oily skin as well, as it will slow down your skin's natural oil production. You should look for 100% oils with no additives. I rotate between Marula (South Africa's beauty secret), Squalane (from olives, which you'll see in tons of beauty products on the market) and Camellia (Japan's beauty secret) oils. But you can also use Argan, Jojoba, or Macadamia nut oils. Instead of buying the expenses mixes from Sephora, I buy my facial oils from etsy, it's just so much cheaper there. You just add a light dab to your skin and you'll find them fast absorbing. I hope these tips were helpful, please let me know what has worked for you. So many great ideas for skin transformations here. I really try to keep sunscreen on during the summer. My skin is very fair and I burn easily if I don't stay lathered! All about that vitamin C. I need anything for the anti-aging, discoloration and collagen, so I am always using vitamin C! Miracle worker! wow I've never had a facial and I guess I don't know enough about it but I really don't think anyone ever needs botox. Taking care of my skin is a priority. I have extremely sensitive dry skin so I do moisturizing masks and oils along with gentle cleansers. I would love to transform my skin. it has been awful since I was a kid! It goes from oily to dry almost overnight it seems! This sounds amazing, my skin gets so dry this time of year! I need to try this. This was super helpful to me. I am really needing a skin care overhaul because my face has started aging terribly this year. I love getting facials. I'm going to try microdermabrasion but I'm kind of nervous. yes, yes, and yes! I always exfoliate and use facial oils but I need to invest in more spa appts for facial treatments. So many great ideas for skin transformations here. I really love going to the spa for facials but doing them at home is worth the huge money save. You can never do too much for your skin. I'm obsessed with sheet masks right now, but I really want to try out some products from Drunk Elephant and Sunday Riley. I've heard great things, although they are an investment. You can never do too much for your skin. I always exfoliate and moisturize. I love taking care of my skin. Wrinkles are a part of life but I can at least slow them down right??? I think so. Taking fare of your body should be #1. Taking care of your skin is important, at my age I'm using Mask, sunscreen and exfoliation. These are helpful tips! My skin care routine are moisturize, mask, and facial peels. So glad to know more skincare. I love doing face masks. They make me feel fancy! Sunscreen is super important too. I have this post bookmarked for reference to all these amazing tips. I guess I never knew that there is hope for my aging skin. This sounds really cool! I don't exfoliate, but I might want to. My skin could definitely use help this winter. This is a great list! I really think sunscreen makes all the difference in the world. I need to start scheduling facials more often! Wow this is a lot of info! You do a lot to take care of skin, which is great! I have been trying out a lot of Mario badesceau products lately and trying to do a cleansing mask and a hydrating mask weekly. I definitely don't do facials as often as I should! I have been putting more and more focus into my skin. It is so important to do it now so that it can stay healthy as I age. 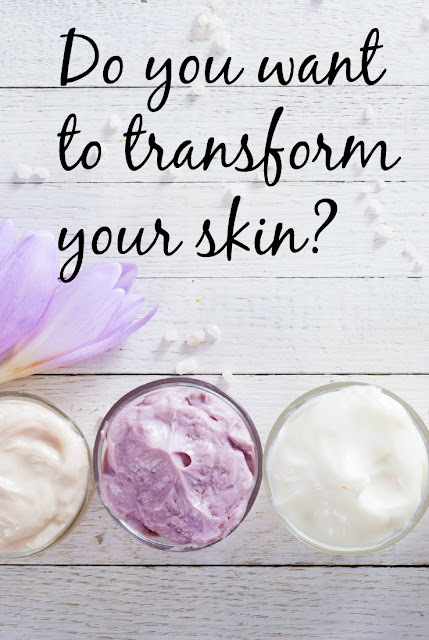 There are so many choices when it comes to taking care of our skin and it's nice because it's easier to pick which ones work best for your skin care routine. I've tried at least half of these and so far, I'm happy with my regimen. I have a very strict skin care routine lol...love all these tips and they are all great ways to help your skin look great. I love masks its one of my favorite part of my skin care routine. I also use an exfoliating cleanser which helps keep skin smooth. This is really a great post, great job! !